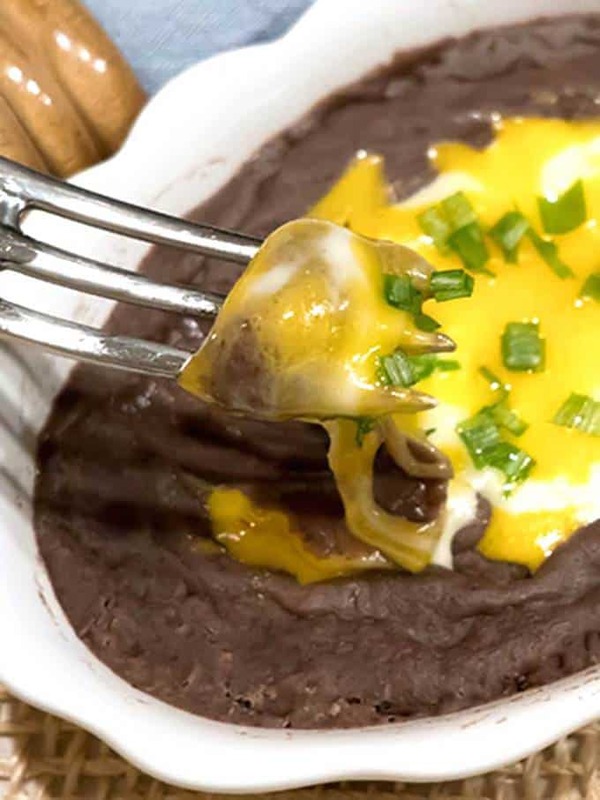 Frijoles Negros Rotos are also known as Smashed Black Beans. They are not only delicious on their own, but also outstanding in black bean dip and in quesadillas. 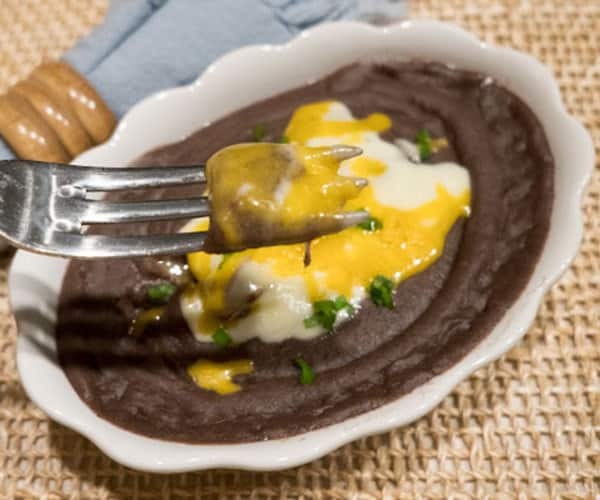 As an added bonus, the Smashed Black Beans are super easy to make. 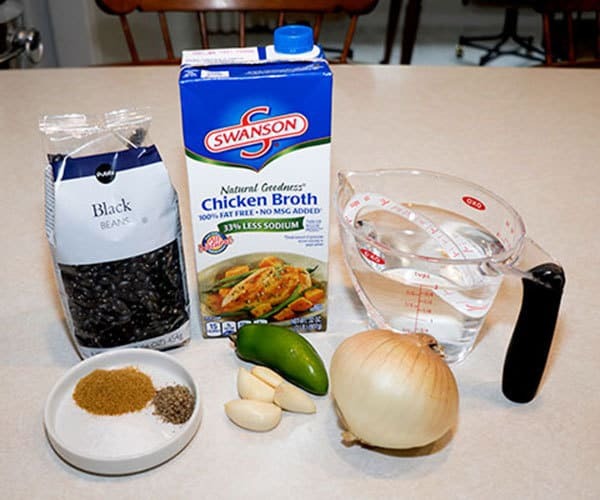 I used the following ingredients: Dried black beans, onion, garlic, fresh jalapeño pepper, ground cumin, salt, freshly ground black pepper, low sodium chicken broth, and water. I could have also used canned black beans here. Because the beans were dried, I soaked them before cooking. I used the quick soak method here (putting them in a large saucepan of water, boiling them for about a minute, covering the pan, and letting the beans soak for an hour). After an hour, I drained and rinsed the beans. I added them to my pressure cooker, along with the remaining ingredients. I didn’t bother chopping the onion. However, I did chop the jalapeno and minced the garlic. The reason that the onion didn’t need chopping is that it pretty much disintegrates during the cooking and processing. I brought the pressure cooker up to high pressure, lowered the heat to maintain the pressure, and cooked the beans for 30 minutes. After 30 minutes, the beans were perfectly cooked. However, there was a lot of liquid relative to the beans in the pot. Therefore, I removed about 3 cups of the liquid with a soup ladle. I knew that I could always add some liquid back. However, once I processed the beans, I wouldn’t be able to take any out. I processed the beans until they were smooth with my immersion blender. As it turned out, the beans had a perfect consistency with the 3 cups of the liquid removed. OMG, are these good! You should try them. Yum! Soak the beans over night in 2 quarts of water, or use the quick soak method*. Remove from heat and allow the pressure to return to normal. With a soup ladle, remove about 3 cups of liquid. 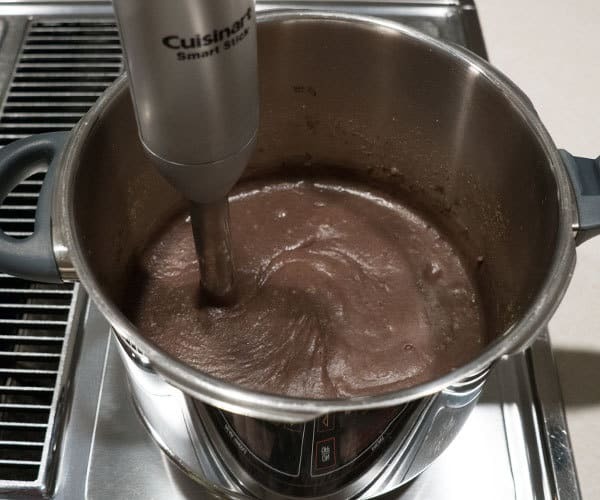 Process the beans with an immersion blender. Season to taste. If desired, top with shredded Cheddar cheese, shredded Monterey cheese and/or diced green onion tops. Yield: 6 servings. *For the quick soak method, place beans in large pan. Add 2 quarts of water. Bring to a boil; boil for 2 minutes. Cover pan; remove from heat. Allow to sit for 1 hour. 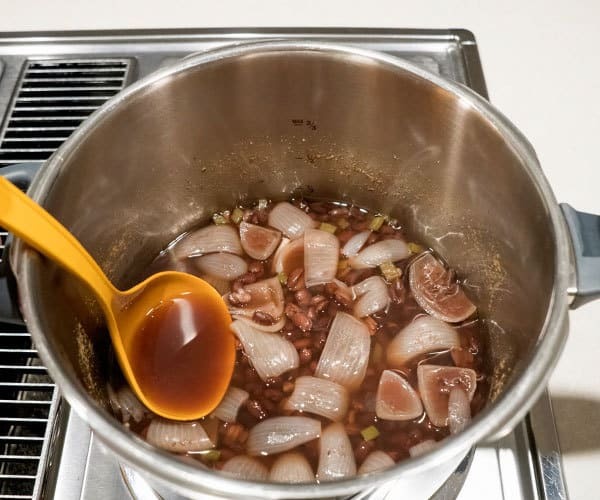 **If not using a pressure cooker, cook for 1 hour and 15 minutes, or until the beans are perfectly tender.